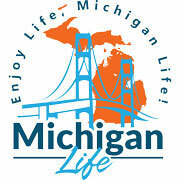 Michigan Life's Region 4 Grand Rapids, Grand Haven and Holland Area including Allegan County, Barry County, Eaton County, Ionia County, Kent County Montcalm County, and Ottawa County Michigan. 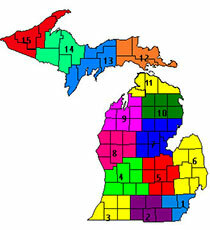 Region 4 -Grand Rapids, Grand Haven and Holland Areas are part of western Michigan starting at the spectacular Lake Michigan beaches and traveling towards the heart of the lower peninsula. Destinations and Attractions include some up-and-coming micro breweries (Grand Rapids was named the Top 10 Vacation cities for Beer Lovers), festivals (Holland is the home of an annual Tulip Festival), attractions (Grand Haven Lighthouse), and an abundance of outdoor activities (including Dune Buggy Rides in Saugatuck) and boating, biking, hiking, swimming and outdoor recreation throughout the region. Our Family - owned winery has been crafting wine since 2003. We invite you to visit the winery, where our wines are fermented and bottled. Fenn Valley Vineyards is a family owned and operated vineyard and winery complex established in 1973. Our goal has always been to produce world-class wines from grapes grown along the shore of Lake Michigan. In response to consumer demand, the Robinette family opened the Apple Haus in 1973. The Apple Haus is home to the bakery, lunch counter & eating area, cider mill, home-grown fresh fruits in season and a variety of other tasty treats and gift boxes.